Regular eye exams are important for everyone, regardless of age or physical health. There are numerous ailments that can be prevented and even avoided entirely with regular eye exams. During a complete eye exam, your eye doctor will determine your precise prescription, but an eye exam is much more than giving a prescription. 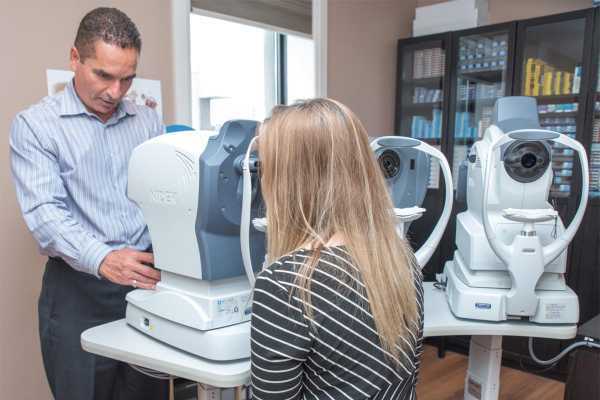 Your eye care professional will also evaluate your ocular health using state-of-the-art computerized refraction and topography, and evaluate for specific ocular diseases and evidence of systemic diseases such as diabetes and high blood pressure. Complete eye exams typically take from 20 to 30 minutes. Fill out the request form below. We will contact you shortly either by phone or email to confirm an exact date and time for your appointment. Only if you are 19 and younger or 65 and older.